Independent Hydraulics is a leader in hydraulic systems and integration. Our wide range of products available allows us to meet the most challenging mining applications. The Independent Hydraulics team provides fast quotes on high-quality hydraulic parts and hydraulic systems. Our experienced team of hydraulic professionals will help you plan and implements the right solution for your needs. Whether you need help troubleshooting or a replacement part we are here to help. Whether you are mining potash, salt, oil, or iron, Independent Hydraulics is your top choice for hydraulic systems and parts. 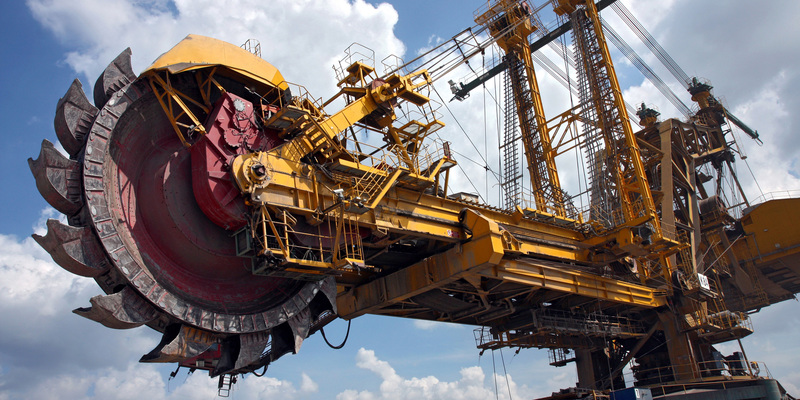 Hydraulic systems are widely used throughout the mining industry in a variety of applications. Hydraulic systems are one of the most crucial elements associated with each mining niche. Hydraulic systems and parts are found in a several equipment types including drills, conveyors, loaders, rock bolters, and belt crushers. Independent Hydraulics knowledgeable team of industry professionals will work with you to isolate the problem and deliver the right solution for your needs. We know that time is money, and that every moment you cannot properly use your equipment is money down the drain. Our team will provide you with a fast service and reliable quotes in an effort to mediate your problem as quickly as we can. Independent Hydraulics has a wide range of products specific to the Mining industry. Our Hydraulics Specialists are standing by and ready to assist you with any questions you may have. You can also request a quote, by providing us with your specific details. We are proud to offer top of the line products for mining industry applications. Furthermore, we offer support for each and every product line that we represent.